Due to technique sensitivity the feasibility of a customised, classic matrix technique in the anterior region is problematic in some cases. The author of this article describes a modified form of this technique and uses several patient cases to demonstrate that anatomically correct and aesthetic anterior tooth design is possible, even when using a simplified matrix technique. Direct composites in posterior teeth are a part of the standard therapy spectrum in modern dentistry. The excellent performance of this form of restoration in the masticatory loadbearing posterior region has now been demonstrated in numerous clinical studies. The procedure is usually carried out in an elaborate layering technique. 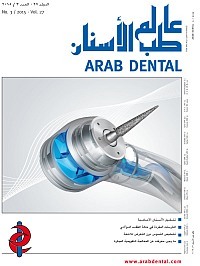 Aside from the possibilities that highly aesthetic composites offer in the application of polychromatic multiple-layer techniques, there is also great demand for the most simple and quick to use, and therefore more economical, composite-based materials for posterior teeth. This demand can be met with ever more popular com-posites with increased depths of cure (bulk-fill composites). If orthodontic treatment of agenesis of the upper lateral incisors, even over a number of years, does not lead to the desired re-sult, this may lead to extensive reconstruction. Healthy teeth too may be affected if they are included as bridge abutments and have to be prepared accordingly. In close collaboration with the dental technician, as an alternative, the patient's tooth 22 was restored with an implant and tooth 12 with a single-wing all-zirconium adhesive bridge. Monaco, C. / Zuchelli, G. / de Stefano, L.
Modern technologies and materials produce excellent results in minimum time in restorative dentistry. Intraoral data acquisition avoids distortion of the impression materials. In addition, the preparation can be visualised three-dimensionally. This visualisation makes the treatment clear to patients and increases their acceptance. In addition, there are also the good mechanical characteristics of modern ceramic materials such as lithium disilicate glass-ceramic (LS2). In summary, the advantages of CAD/CAM-supported fabrication mean shorter treatment times, more accurate impression-taking and good visualisation of treatment. The following example describes the clinical stages, which lead to a functional, aesthetically excellent result when fabricating anterior single crowns.